Street Child United and GM Chevrolet have teamed up to provide children at risk of the streets a safe space to play in northern Rio de Janeiro. 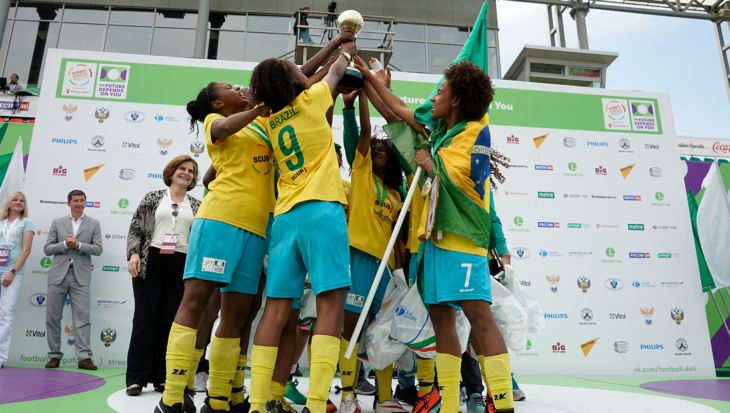 The pitch is located in Complexo da Penha, a favela community from which nine girls represented Brazil at the 2014 Street Child World Cup. The area has seen a high level of gun violence between traffickers and Police, which can flare up daily on the streets of the community. The brand new pitch is accompanied by a playground and flood lighting to ensure the football can continue in the evenings. GM Chevrolet has also guaranteed that three coaches from the community are employed to run daily coaching sessions over the next year for the children of the community who are at risk of the streets. 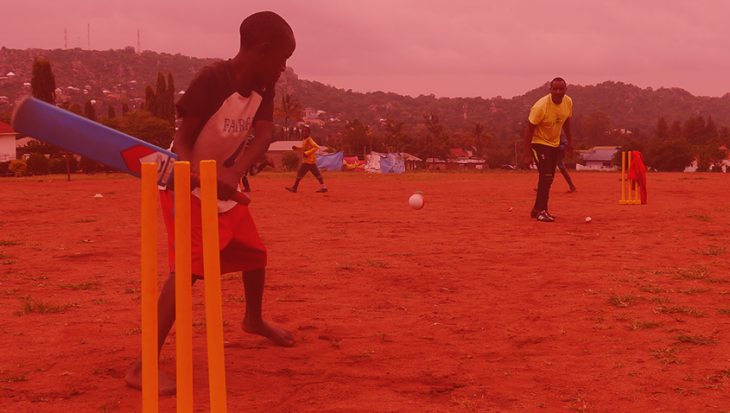 The partnership is a continued legacy from the Street Child World Cup that GM Chevrolet sponsored in 2014. GM Chevrolet has a global commitment to bring play to where it is needed most. Chevrolet works with local organizations to revitalize football pitches, donates ultra-durable One World Futbols and provides life skills and soccer skills training through Coaches Across Continents. Chevrolet’s goal is to celebrate true stories of play and inspire and drive change in children who live in underprivileged communities. Drika was amongst a group of young people from Street Child United who were recipients of a tailored program for local football coaches from Chevrolet and Coaches Across Continents (CAC). This group included three coaches who will be funded to run training sessions at the pitch including Thaiane da Silva who scored the winning goal at the Street Child World Cup and is now a coach aged 18. The coaching program focuses on how sport can be used to tackle and resolve life’s many challenges both on and off the field. Other participants included street child organisations from across Rio.